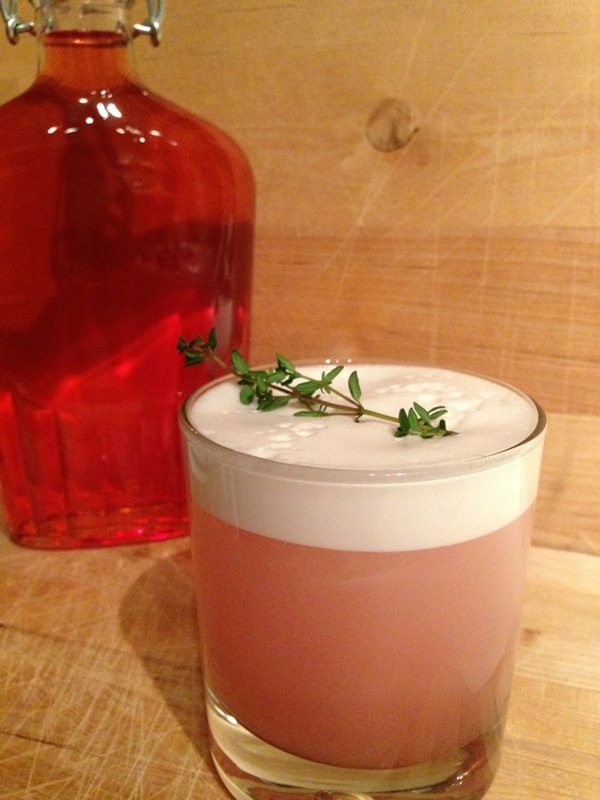 Pour strawberry vodka, thyme simple syrup & egg white into a cocktail shaker and shake vigorously (like a boss) for 30 seconds. Add lots of ice, shake until freezing cold, about 10-15 seconds. Pour over ice in chilled glass. Top with just a splash of club soda. Garnish with a sprig of thyme & enjoy! The cocktail itself was good but I think it needed something more, like rhubarb bitters or a bit of Cointreau. However, the creaminess from the egg white was spot on. I’m eager to try more. Have you made or sampled any inventive cocktails lately?